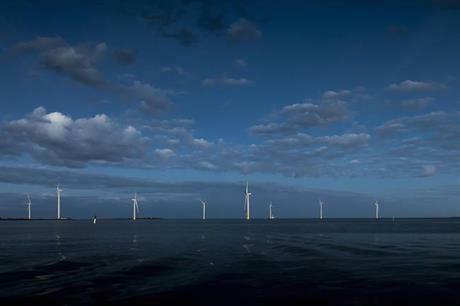 FINLAND: The country's first commercial offshore wind site, Suomen Hyotytuuli's 40MW Tahkoluoto project, has been completed. The project’s ten 4MW Siemens Gamesa Renewable Energy turbines sit on rock-filled gravity-base foundations specifically designed to withstand the icy conditions of the Gulf of Bothnia. A pilot version of the project off the coast of Pori, south west Finland was initially installed in 2010. Its turbines’ foundations have a conical top designed to withstand ice ridges with heights of up to 25 metres. Such ridges, formed from pressed drifting ice, are common in the Gulf during the winter. In addition to supplying the ten SWT-4.0-130 turbines, which are 90 metres tall with a rotor diameter of 130 metres, Siemens will also service the site. Developer Suomen Hyotytuuli claims the project is Finland’s first commercial offshore site. The company had to overcome challenges in the Gulf of Bothnia that are either not found, or not as pronounced in the North Sea, the company said. Such challenges included a freezing sea, the shallow coastline, the hard seabed and weaker winds. A consortium of eight Finnish utility shareholders, led by Suomen Hyotytuuli, financed around 85% of the project, with an additional €20 million ($23.7 million) from the government.